Dustin Poirier is tired of waiting on Eddie Alvarez to sign his contract. Rumors have been swirling for days that the UFC was interested in pitting Poirier against Alvarez in a rematch as the headliner for the upcoming UFC on FOX 30 card in Calgary, Alberta, Canada on July 28. The problem is Alvarez is on the last bout of his current deal with the UFC and has said that he won’t accept another fight until he reaches an agreement with the promotion on a new contract. That isn’t sitting too well with Poirier, who sent out a fiery message aimed at Alvarez while setting a deadline for him to sign the contract before he moves onto a new opponent. “Today’s the deadline for the fight offer. If anyone sees Edward Alvarez please give him a pen to sign the contract,” Poirier wrote on Twitter. Today's the deadline for the fight offer. If anyone sees Edward Alvarez please give him a pen to sign the contract. Poirier has been asking for a rematch with Alvarez ever since their first fight ended in controversy last year. After a blistering start that saw Poirier nearly finish the former lightweight champion, Alvarez mounted a comeback in the second round. Following several big shots landed on the feet and a scramble against the cage, Alvarez unloaded two huge knee strikes that blasted Poirier in the head. 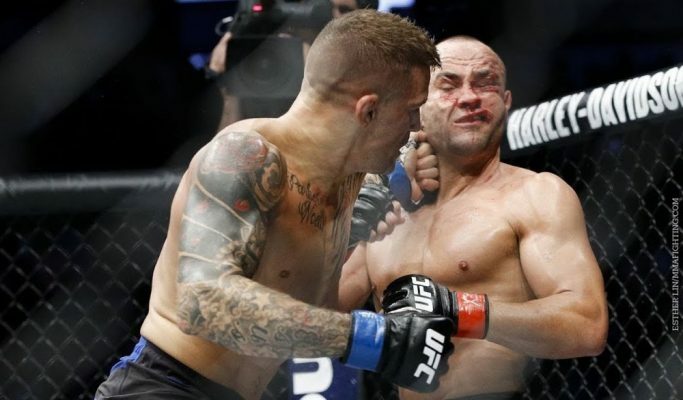 Unfortunately for Alvarez, both knee strikes were deemed illegal as Poirier was a downed opponent and due to the damage sustained he was unable to continue. While the strikes were considered illegal, referee Herb Dean ultimately declared the fight a no contest. Ever since then, Poirier has been trying to get his hands on Alvarez in a rematch but to no avail. 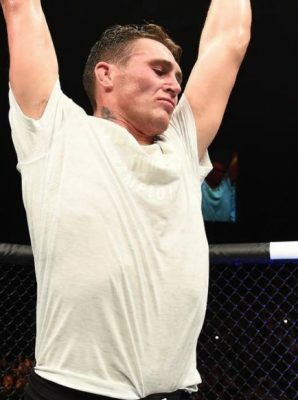 Now after his ‘Fight of the Year’ performance against Justin Gaethje to notch his second win after that no contest against Alvarez, he’s been anxiously awaiting the chance to finally settle the score. As of now, however, there’s no word whether or not Alvarez will accept the fight if he doesn’t have a new UFC contract worked out.